1 Game Down, 9 More to Go. A Clarification of the Goal. There. A screenshot is equivalent to a thousand words. As of slightly past midnite earlier this morning, I finally watched the credits roll on Garnet’s screen, signifying the official ending of Pokémon Y. Of cos, all Pokemon Trainers will know that defeating the Elite Four and the Champion grants access to Kiloude City where the Friend Safari is located. 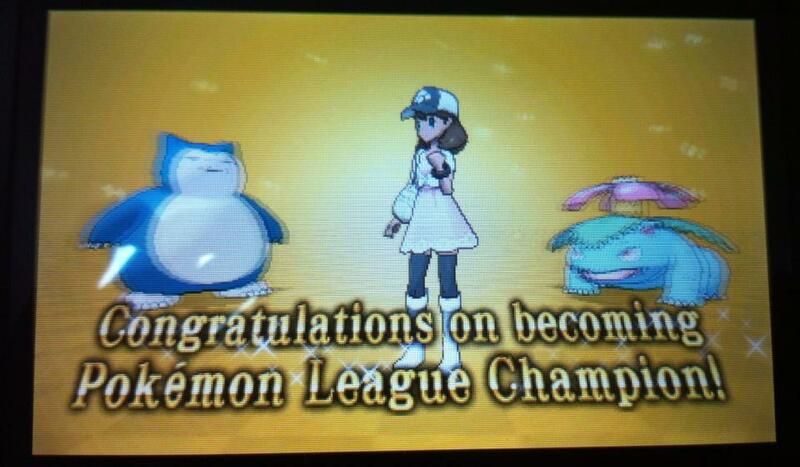 There is still a long journey ahead for those who aspire to be a Pokemon Master. There are hundreds of Pokemon out there to obtain via breeding, evolution, wild battles… etc. and there is always the quest to obtain the shinnies. Heck, I have even yet to capture Mewtwo or the legendary bird (mine is Zapdos as my starter was Fennekin) that will appear in my game! However, despite all that, I deem this game as completed. With that, 9 more completions before I “unlock” the Time Flies When You’re Having Fun achievement on my 35 Before 35 bucket list. Of cos, I’m not gonna limit myself to completing merely a total of 10 games for the next 2 years, BUT, I wanna ensure that I’ll at least manage to do that little. Mhmm… and to clarify, I’ll be taking into account the more “serious games” only. I am not counting casual mobile, facebook and even StreetPass Mii Plaza ones (have technically completed all but Puzzle Swap & Monster Manor). Games that have ‘no end’ (e.g. mmorpgs, Animal Crossing… etc.) will not be listed either. RPGs ported over to the mobile phones though, those I will count. Gonna be starting Professor Layton and the Azran Legacy on the 3DS next, and will play it intermittently alongside The Legend of Zelda: Link Between Worlds, Bravely Default, and of cos, Final Fantasy Theatrhythm: Curtain Call upon release next Tuesday (I have pre-ordered!). Should time and the mood permit, I shall embark on my MH3U journey as well.